Today, FCC Chairman Ajit Pai is set to announce a plan to roll back Obama-era net neutrality rules that he argues have had a chilling effect on investments by internet providers into broadband infrastructure. The battle over the internet has been brewing for years culminating with regulations in 2015 that amounted to a power grab by the Obama Administration’s FCC. At that time, the agency reclassified internet service providers (ISPs) as a utility and opened the door for greater Washington control over the internet. Some of the new regulations stopped internet providers like Comcast, Verizon, and AT&T from slowing or blocking content to certain websites or providing fast lanes for customers willing to pay more. Getting rid of the 2015 Open Internet Order that gave the FCC greater authority to police broadband companies has been a priority for the newly minted Republican-led FCC as well as Congress. FCC Chairman Pai has said he might agree with the underlying principles of net neutrality but not the power grab by his predecessor and might push tech and broadband industries to take more of a voluntary approach. The FCC has already started chipping away at net neutrality beginning with the repeal of other internet regulations. Today, we’ll get clues into what Chairman Pai has in mind. Early reports indicate what we might expect. 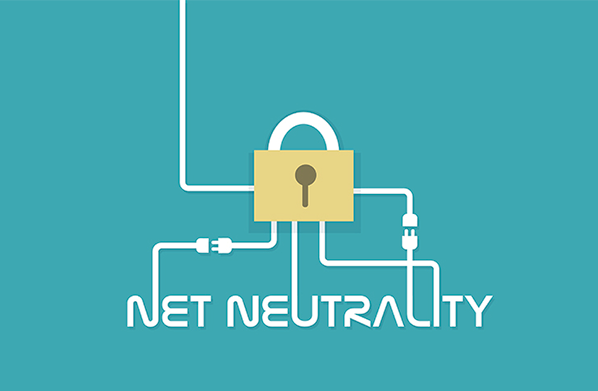 Some sources say his approach this week could simply be to propose doing away with the FCC's regulatory classification of internet service providers and solicit comments on how the agency can keep the net neutrality principles without that classification. In addition, while he may not lay out a replacement plan, he’s likely to solicit ideas from the tech industry as well as public-interest advocates on a legal approach to net neutrality. We’ll be watching to see what the FCC chairman has in mind for net neutrality rules. An open internet has so far created the open road for innovation to deliver us the products and services we have come to rely on from addictive TV shows on demand to social media websites that connect us to former classmates and distant relatives. Consumer protections must rightly be balanced with that internet freedom, but Washington’s central role should at best be enforcer of the law, not be gatekeeper, to the internet.